From the beginning mesmerizing repetition sequence of Jill Magi’s hybrid poetics-essay-fiction-nonfiction-poem-cycle, Labor is immersed in its title. Opposite of clichéd treatments of the subject, Labor is the real deal in its unconcealed embedding of the subject, so much so that the reader does not even notice such embedding. I thoroughly “got it” and was struck by the title living up to the name. Not because of doubt of the author — but because often a creative work purports to be about work — and it is — and it isn’t. Magi’s Labor lives and breathes it — fully on a poetic and activist level — through archival documents, real work experiences, fictionalized accounts, and poetry, while taking us on a journey in a key storyline (among others) about what’s now been called the plight of the adjunct. There ain’t no separate-poet-writing-about-work here or the arbitrary distinction that occurs sometimes: drum roll please — we have here — a worker who is also a poet —whoo hoo — the critics sez. Opposite that classist stance, Magi and her work embrace and are the concept of labor from the often difficult to fully articulate position of being working-class yet (in all of this definition’s complexities) in the academy — and being in the academy often comes with the stereotype of the professor as the cool, all knowing, I-love-what-I’m-doing kind of portrayal. Among several storylines, the most prominent sections of Labor show the downsides of class-stereotyping and present a sharp investigation into the now big elephant in not only rooms, but buildings: the adjunct. The investigation of this view comes off subtly in Labor. From the quiet humiliation of being asked over and over “are you faculty?” (40) to simply take home a discarded wooden index drawer or to be told by a college president “there is no money for full-time jobs” (80), anyone who is an adjunct can attest to sulking feelings of cringe-and-carry-on. Which is how the lost narratives that Magi finds in NYU’s Labor Archive (it feels so strange typing that) feel, and then Magi grounds them and pulls them from their flying, and pauses for a moment in the clearness of day. We are given a meta-meta treatment of the archive’s treatment of real people who toiled, and in that meta-meta-ness we see how no archive could ever do justice to the struggle of the working-class, poor-working class, and laborer-class — shown by Magi in all its hypocrisy and truths. A particularly affecting sequence involves the words “work” and “labor” broken down into phrases for bibliographic/card catalog purposes. Through the slow pull-out of phrases — “work … day as unit of”; “distinction between, and hobby” (9) and “its discontents” (11), and so on — we follow until it builds to a crescendo (I can still hear Rodrigo Toscano’s intonating reading of it at Labor’s New York release event) and one is left feeling bereft at all these fragmentary descriptors of something so real and painful when considering classism and “lack of” labor. Magi makes us look at labor in a way we might have never before. 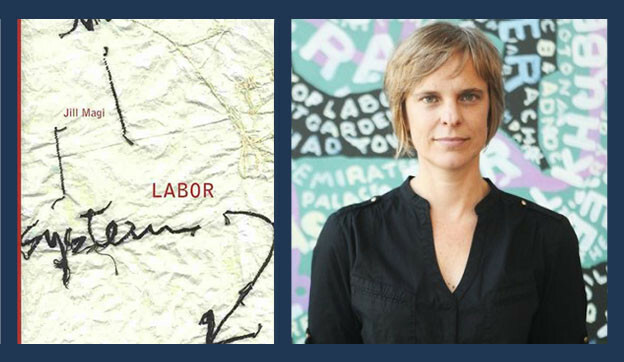 Like a hybrid tapestry, she weaves a narrative, a beautiful, complex nonlinear one with different types of writing to explore labor inside out. We feel the emotions of the primary speakers (who I presume incorporate experiences of Magi herself) and the tortured routine of the adjunct who “leaves the projector on ignoring the sign PLEASE TURN ALL EQUIPMENT OFF” (41). Magi is adept at showing the multilayered affects of how archiving, while showing us hidden information we need to know, can do a disservice to real actualities of “labor” and “protests” and “work.” Yet without the archive, maybe we wouldn’t have had this book. It’s a complicated mix, and Magi is acutely aware of it and working with this double entendre to the max. Of course sitting alone in an archive pondering labor and work could bring up questions of authenticity, but then again, we need this pondering because not enough of it is happening on labor and work. Of course someone like Magi, and those sensitive to class issues, can see the simultaneous need and awkwardness of sitting in a document room, writing, dreaming, and thinking of the workers before us. Magi says so herself, with comments on the workers who bring her the archives, noticing if they want to go home; doubting herself occasionally “[I] worry that the librarian has figured out that I have no research plan” (47), which bring up thoughts about class inclusivity and the academy. I understood those conflicted feelings and that’s why none of the oxymoronics stated previously about this project matter — the project matters. And with her and her speaker’s “academic-ness” being questioned over and over. And still being so while in the midst of this very project we are reading. The layers are confoundingly genius. Even the cover of the book is (by Magi) hand-stitched images that further drive home the labor put into the book. What pained me the most were the exchanges with higher ups in education admin — so slight, to avoid any controversy — that suggested the speaker was not worthy. Create a ritual space for the end of LABOR. addressed to you, stamped, mailed, ripped open, and accepted. look. You are head of your time. How to define poverty? Did I mean poetry? Magi’s work should be required reading for labor-themed courses in sociology, education, economics, literature. For all students thinking of working in teaching and poetry. For our government officials deciding on the plight of the adjunct forever it seems right now. 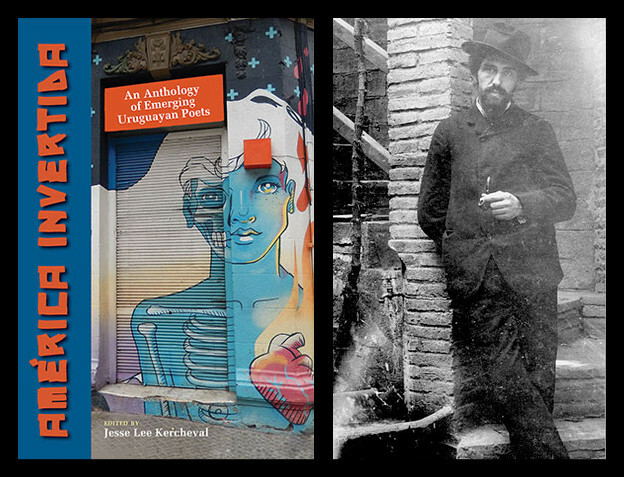 Labor joins a select group of works that dedicate a full poetic-hybrid book to work themes. Only a handful come to mind which rival the level of investigation here: Karen Brodine’s Woman Sitting at the Machine, Thinking, Mark Nowak’s Shut Up, Shut Down, and Yedda Morrison’s Crop. This group of excellent hybrid writing does not back down for a page from the labor topic and is genuine. Brodine’s includes hard-to-forget sequences when the woman is indeed thinking at the typewriter like Magi is thinking between the archival pages. That is thinking beyond the thinking she is supposed to be doing in that archive room. Nowak’s tome to Buffalo’s Bethlehem Steel workers and where his family worked incorporates photos, conversation, and the overheard into a moving poetic-non-fiction work on work and its decline. Magi’s book joins this company with a topic that hasn’t been explored before quite in depth: the adjunct. The beauty of Labor and its “handbooks” is that it reads as a critical guide to documenting the archive. The archive! Documenting how the documents are documented. How we react to the documents. How useful are the documents. This is where it begins: preconceived notions, stereotypes, judgments. If we can get more people like Magi meta-documenting maybe we can solve more injustices of perception — and its attendant realities. And so here I am reading a document (Labor) of documenting the archive which is comprised of documents that document other things, in this case, work — which is what the author is doing: working on documenting documenting and subverting the documenting of — with rituals — work. I am sitting here reading this, working on understanding how all these documents work. I am writing this review of a doc of a doc of a doc. Tomorrow I too will face a class, not really a prof, but they call me a prof, and I will leave into the night, neglecting to shut the equipment down or turning the projector off. Right: Joaquín Torres-García, Uruguayan artist whose work originated the term “America Invertida,” in 1903. Image via Wikimedia Commons. It is common that, when speaking about Uruguay and its culture outside the country, the name of Joaquín Torres-García — Uruguay’s most notorious visual artist — pops up, and now, after MoMA’s 2015 retrospective consecration, perhaps even more so. Here, for instance, it is found in the title of the anthology. 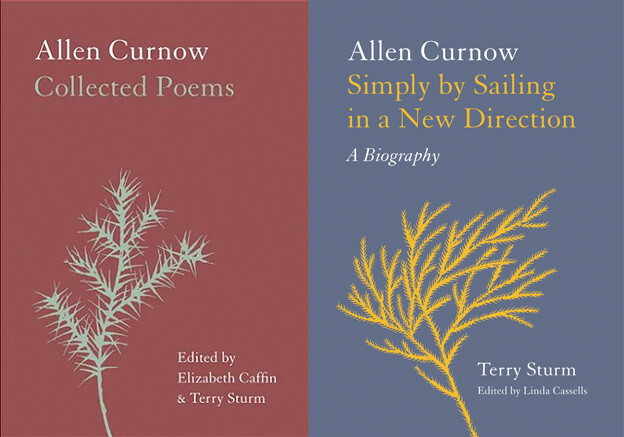 Allen Curnow (1911­–2001) was a dominant force in New Zealand letters and became an internationally acclaimed poet, anthologist, and critic. Together, the 2017 Auckland University Press poems and biography provide a substantial (1120-page!) recognition of his achievement. Let me offer what follows as a kind of searching tribute.